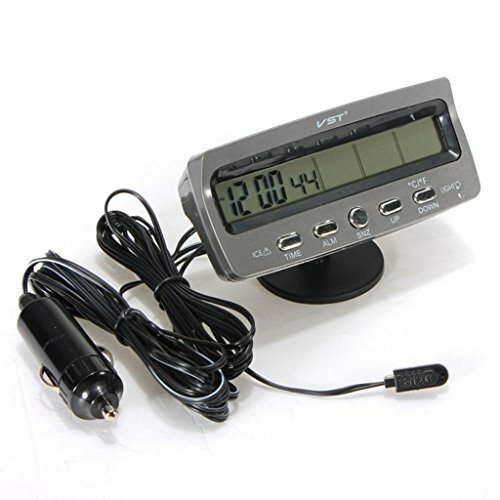 - Display inside temperature, outside temperature and voltage. - 12/24 hours can be switched. - An alarm clock and snooze function. - Or Fahrenheit temperature range - 50- 70 degrees Celsius. - Measuring the temperature sampling period of 20 seconds.